In meeting the client’s ambitious brief it was essential to ensure that sustainability was at the core of the design from the outset, despite site restrictions which demanded out of the box solutions to meet performance goals. 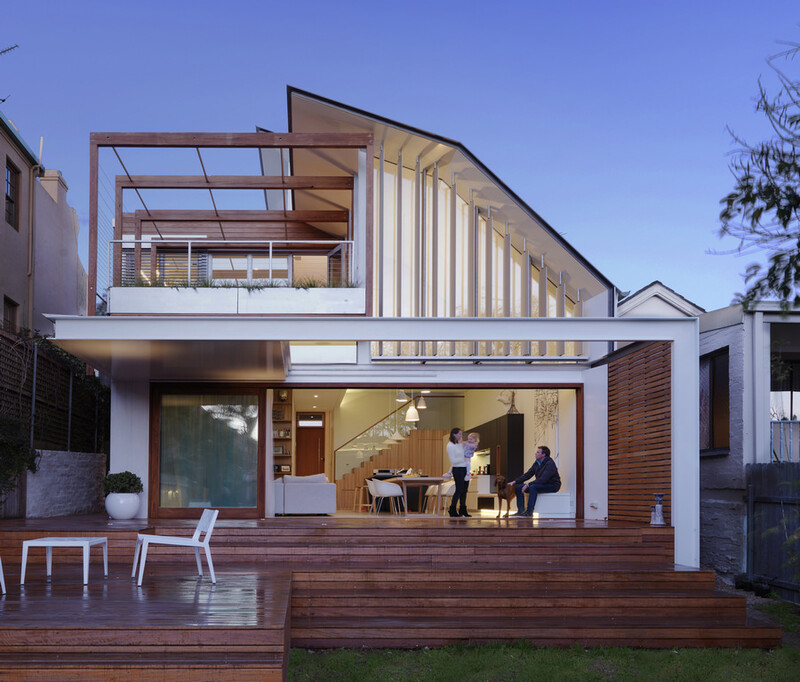 The final design reconnects with the site, neighbourhood and geography and is a result of extensive computer modelling reinforcing passive solar design principles, leading to an 8 star thermal performance certification for the house. 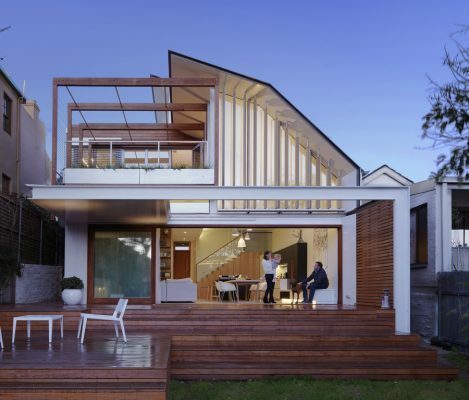 Highly adaptable main living spaces offer a strong connection to the west facing rear deck and yard, where the operable roof provides protection from the elements, and the oiled timber deck blends into the landscaping. Positive neighbourhood integration of the eastern street facade to the streetscape is achieved through considered manipulation of form and the use of natural and recycled materials. The end result showcases innovative uses of materials, products and technologies to meet an ambitious design brief and provide an exemplary sustainable residential dwelling, built using a philosophy of passive and active design theory which borrows heavily from both traditional and contemporary technological principles, expanding the potential of existing sites and the future of sustainability in residential architecture.